We know you have a lot going on in your everyday life. Let our Allen office simplify at least one aspect of it by providing a one-stop shop for the dental needs of you and your loved ones. From general check-ups to in-depth restorative care, we can help you achieve a smile that’s both healthy and beautiful in a familiar environment where you feel comfortable and listened to. Communication is a crucial cornerstone of the work Dr. James Williams and his dedicated staff members do; we’ll always speak with you clearly and honestly about your dental needs, as well as make recommendations for treatment that fit your situation as ideally as possible. You deserve to enjoy excellent oral health! Maintaining healthy teeth and gums over the course of your life starts with prevention, and we can help. 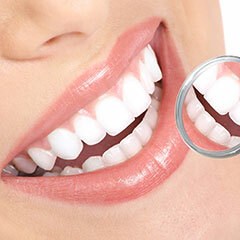 Our in-depth check-ups and cleanings will leave you feeling refreshed and informed about the current state of your smile, and periodontal treatment and oral cancer screenings ensure that we leave no stone unturned when it comes to the wellbeing of our patients. By catching and treating potential issues as soon as possible, Allen dentist Dr. Williams can protect your time, your budget, and, of course, your smile. If you’re looking for help with a chip, a crack, decay, or even a missing tooth, our team is here to offer the support and skilled care you need. Our restorative services are designed to provide relief and rehabilitation to smiles at all stages of damage and decay, giving you back your confidence as well as your health. Dr. Williams even places implants when possible, one of the most modern and seamless tooth replacement options available in the dental world today! Of course, many patients are interested in achieving smiles that look just as great as they feel. We can create beautiful transformations and erase discoloration, stains, gaps, and much more with our cosmetic treatments. Here in Allen, we love being able to give adults at all walks of life the smile they’ve been dreaming of. Contact the office of Dr. James Williams, DDS today if you have any questions about our available services, or if you’re ready to schedule an appointment with our friendly dental team. We’re committed to providing families of all sizes with care that’s both comfortable and high in quality. 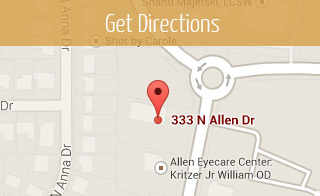 Located in Allen, we also welcome patients from the areas of Frisco, Plano, McKinney, The Colony, and beyond.